Crusoe’s is famous for its delicious, fresh, authentic island cuisine, which is always presented with a smile one of the world’s most beautiful tropical settings. 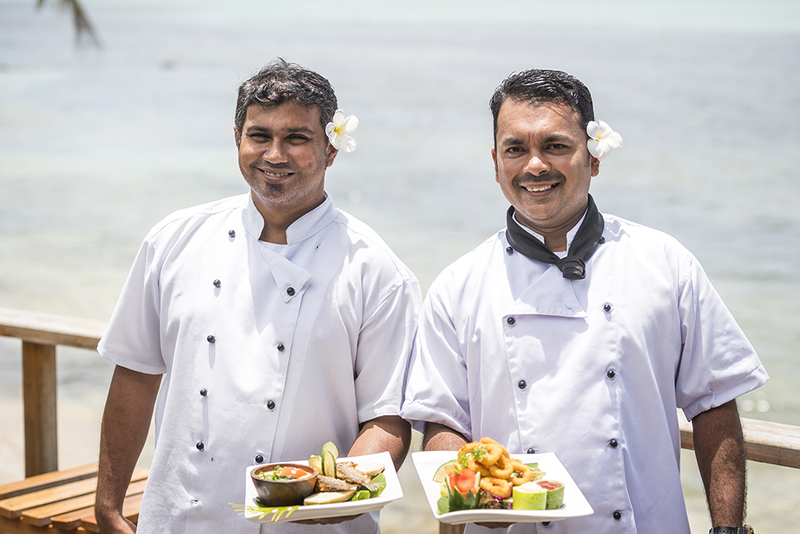 Residing on a lush tropical island certainly has its benefits - we offer the finest fresh ingredients from both the land and sea. Whether it’s fresh fruit at the breakfast buffet, or our one of our innovative fish dishes, our local chefs are renowned for delivering mouth-watering food memories. Embrace being on ‘island time’ and let the sound of the Lali drum signal the serving of meals. And don't forget to complement your gastronomical adventures with our full bar service – we’ve got a range of local beers on tap, imported beers and spirits, delicious cocktails and both imported wines and local favourites. 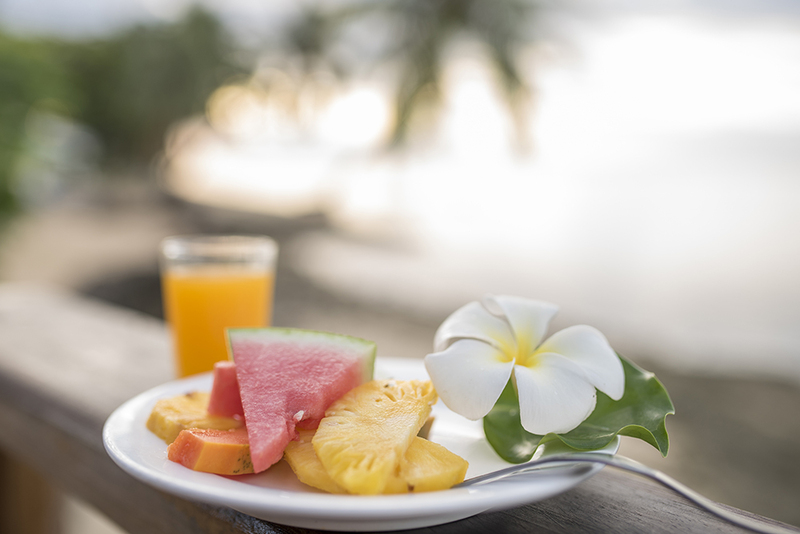 A tropical buffet breakfast (including fresh fruit, tea or coffee, juice, freshly baked goods, cereals and toast) is included in your nightly room rate, or opt for something a little heartier from our cooked breakfast menu (featuring a mixture of classic dishes and island specialties). Select from a great variety of lunch options daily, and enjoy your midday feast either poolside or inside the restaurant. Keep a lookout for happy hour specials at the bar! Dinner is served in the restaurant (a la carte style) after happy hour. Keen to try a traditional lovo buffet? 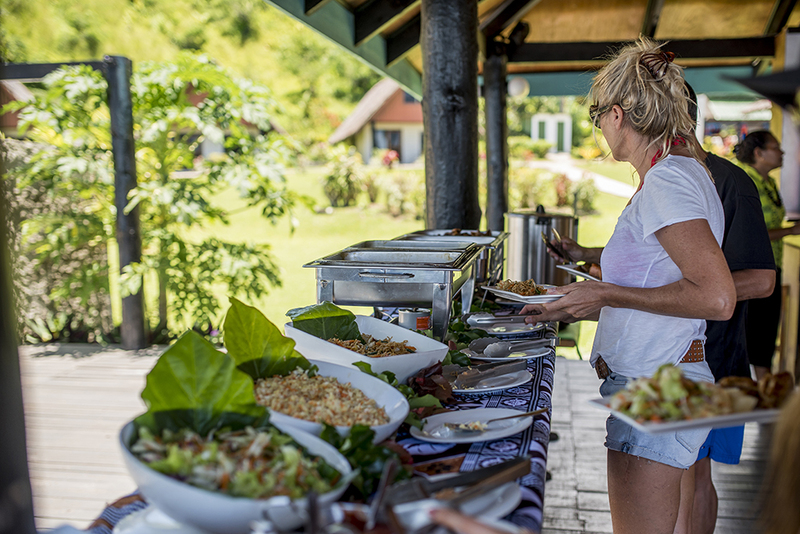 A lovo, which is a feast cooked in a traditional Fijian underground oven, offers a true taste of historic Fiji. We host one a few times every week. Our Mongolian BBQ night is also always a favourite. It wouldn’t be a night at Crusoe’s without evening entertainment – our string band usually sets the relaxed, tropical vibe of the evening but we also have regular local entertainers swing by. Looking for a private dining experience? We can arrange a romantic dinner for you on the pool deck, or water’s edge. If you’re after a completely hassle-free holiday, our all-inclusive food packages offer incredible convenience and value for money. 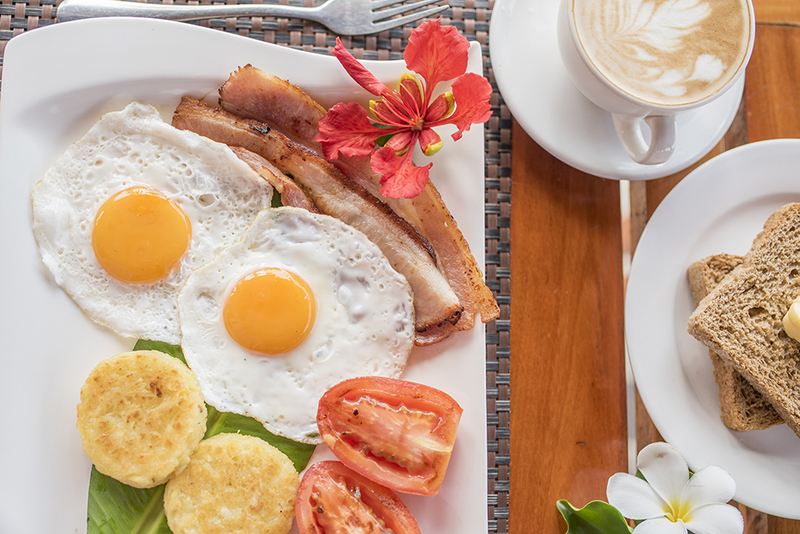 Our tropical breakfast buffet is included in your nightly rate, while a full food package includes a single course lunch, afternoon tea, snacks and either a two-course or buffet style dinner. Food packages include meals direct from our daily menus (no special or set menus).